One of the most significant court cases about climate change was decided this month by a federal appeals court in Chicago. Given that it was steeped in the enervating context of refrigerator regulations, you may have missed it. But amid the stultifying discussions of compressors and insulation foam was a crucial advance in our nation’s belated attempts to forestallglobal climate catastrophe. Here’s why it’s important. By law, government agencies—in this case, the Department of Energy—are often required to show that the benefits of a proposed regulation exceed the costs. Sometimes this is straightforward: If it costsindustry $100 million to prevent pollution that will do only $10 million in damage, the government (usually) can’t force them to do it. 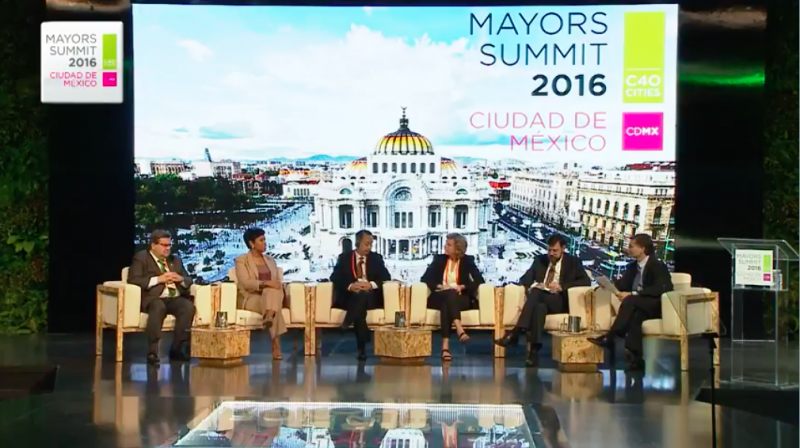 On December 2, 2016, Yale Center for Environmental Law and Policy Director Dan Esty joined mayors from around the world in Mexico City for the C40 Mayors Summit. 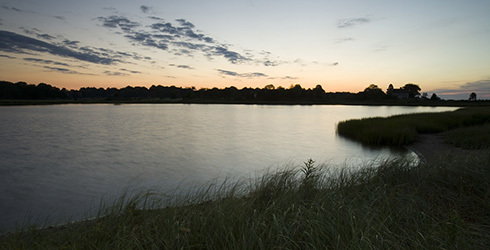 NEW HAVEN >> Welcoming participants from across the United States and 10 other countries, Yale University professor Dan Esty opened the first-ever Yale Sustainability Leadership Forum Wednesday with his list of 10 ways society needs to adjust to ensure Earth is preserved for future generations. Closing out that list was a renewed focus on innovation and calls for all of society to become part of the fight against climate change. “Sustainability requires not just change, but transformative change,” he added. Further, not innovating for a more sustainable future is not an option anymore, Esty said. And that includes everyone. “I think every household and every individual will be called upon to participate,” he added. While environmental sustainability is about preserving the planet for future generations, that can be achieved simultaneously with economic growth, he said. The focus can no longer be on short-term gain, he said, adding that he thought it would be appropriate to fine companies for any emissions caused in manufacturing or operations, not just the emissions over permitted levels. What happens at this month’s United Nations Climate Conference (COP21) in Paris will be a significant step in determining the future direction for international climate action. There was little way Dan Esty, a trustee of The Nature Conservancy in Connecticut who’s been working on climate change issues for decades, was going to miss it. Esty is the Hillhouse Professor of Environmental Law and Policy at Yale University’s School of Forestry & Environmental Studies, and he’s Clinical Professor of Environmental Law and Policy, Yale Law School. He also was a negotiator at The United Nations Framework Convention on Climate Change in 1992. He’s attending COP 21 as part of the Yale Climate Change Dialogue. A corporation’s main objective, and many would agree, legal obligation, is to make money and maximize profits for its shareholders, but should more be asked or required of today’s successful businesses? For an ever increasing segment of society, the answer without a doubt is “yes.” The concept, commonly referred to as corporate social responsibility (CSR), extends beyond compliance with legal mandates or even charitable donations and good deeds. CSR advocates believe a company has a clear duty of care to all stakeholders connected to or impacted by a company’s operation. 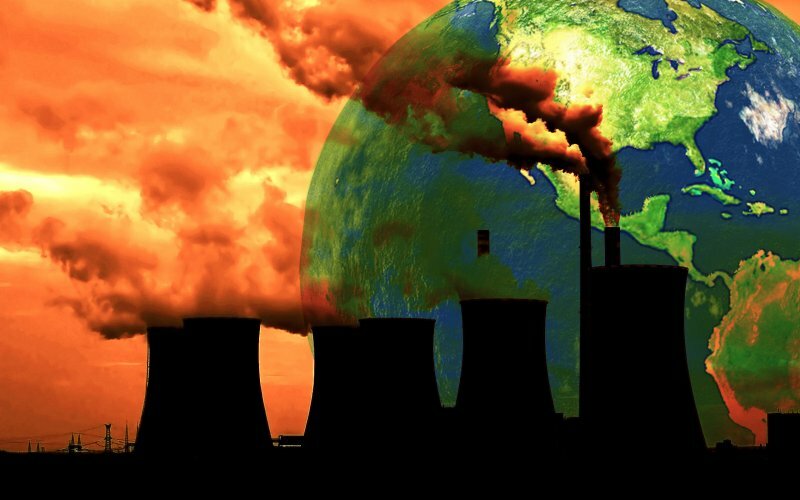 A number of green issues are emerging as key components in a more global initiative to hold corporations socially, and if possible, financially responsible for their actions and inactions. Sustainable development, as a critical component of CSR, takes into account social, economic, environmental, and natural resource issues potentially affected by business. With growing awareness worldwide of environmental concerns, the CSR component of sustainability is focused on environmental sustainability. Environmental sustainability generally addresses how the needs of the present can be met without compromising the ability of future generations to meet their own needs with emphasis on protection of natural resources and the environment.